This space is a small park, sitting on a piece of land that’s unbuildable, due to its triangular shape and the water management drain lines located underground. The land is owned by the Metropolitan Water Reclamation District and leased by Neighbor Space. It was one of the very first NeighborSpace gardens and has been open community space since the neighborhood was first developed circa 1914. 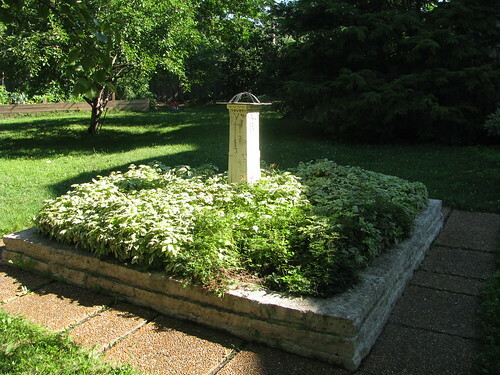 As long as anyone can remember, it has been maintained by the owners of neighboring houses and by the Ravenswood Manor Improvement Association (RMIA), one of Chicago’s oldest neighborhood organizations. 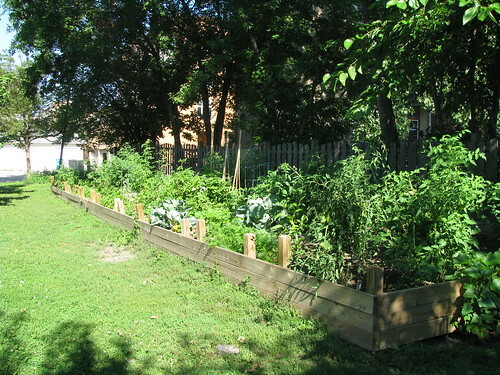 LaPointe park includes 18 community garden plots in one large raised bed, used by individuals, roommates, couples, and families who live near the park. With a growing population of young children in the area, RMIA decided in 2012 to host its annual Easter egg hunt in the park. 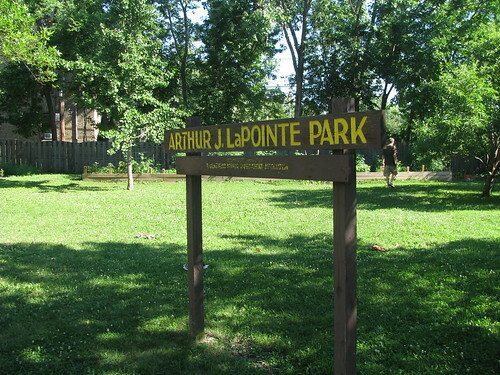 Other activities such as tree trimming plus gardening work such as mowing, weeding, mulching the ornamental beds ensure that neighbors spend a lot of time in the park together.